Indie Retro News: Foggy's Quest to Narg and Back Again - John Blythe‎'s ZX Spectrum game is nearly here! 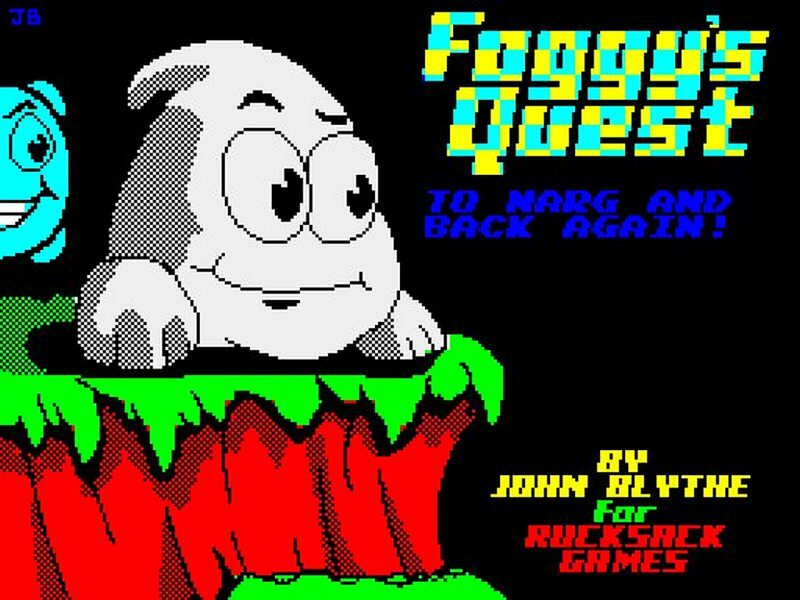 Foggy's Quest to Narg and Back Again - John Blythe‎'s ZX Spectrum game is nearly here! Usually it takes developers a number of weeks or months to get a ZX Spectrum game out in the wild, but it looks as if John Blythe's ' Foggy's Quest to Narg and Back Again ' is actually coming soon. 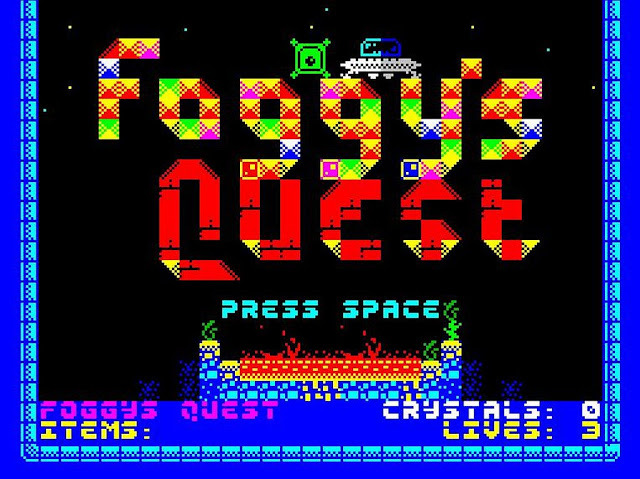 Developed using the very popular software Adventure Game Designer, this game puts you in control of Foggy, who is on a quest to find the lost crystals stolen by the evil NARG's from his very own ship. If he can find them and get back to his ship, he can get away from this awful place for good! According to the developer even though 17 rooms and perhaps more are done, he is still finishing off the last parts of this rather nice looking platformer, which is a big leap from the BBC Micro Adventure horror 'The Darkness of Raven Wood' he previously developed. He has also said, he is creating the front end menu and making simple messages, as some are getting corrupted after playing. But on the positive side a few more screens have been shown off, he has changed the font style, and he has also added a new title screen. All in all going by the screens and current video, Foggy's Quest looks like another great game from a rather talented developer known as John Bythe. I can't wait till this game is available, but even though this game is different from his last, it will be interesting to see which games you prefer.